CanadianGIS.com have been involved in GoGeomatics Socials since 2010 when we helped start the first one in Ottawa, and are happy to again help support all the upcoming 2016 GoGeomatics Back to School Socials taking place in September. 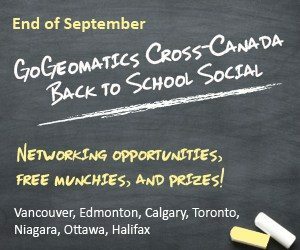 GoGeomatics is inviting new and returning students to kick off the school year with other geomatics professionals at this free networking event. This is GoGeomatics way of welcoming the newest members of the Canadian geospatial community to the geomatics sector. Everyone is welcome, from all areas of geomatics – from GIS, to remote sensing, to surveying, to cartography … Events will be taking place in Halifax, Ottawa, Kingston, Niagara, Toronto, Calgary, Edmonton, Nelson, Kelowna, and Vancouver – so find one near year and get out and meet someone else in the geomatics sector. 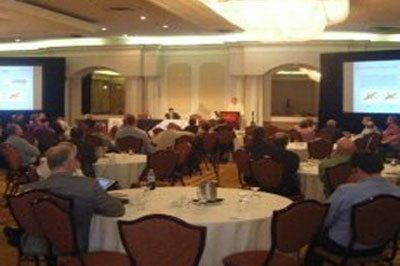 Click the links above to RSVP, find out who else is attending, see photos and comments from past events and much more. Come share a pint with a great community, enjoy some free munchies, and have the chance to win prizes. Historical Maps can be a great resource to help people learn more about certain geography at a particular point in time, help locate where our ancestors lived, or help us understand how a neighborhood or surrounding area changed over time. Because older maps were created by hand, they tend to be more artistic and visually appealing and thus can be attention grabbers. Historical Maps have existed in libraries & various personal collections for years but thanks to advancement in digital technology and the internet, we have started to see more old maps being shared in the geospatial community. The Historical Maps of Toronto blog created by historical maps enthusiast Nathan Ng provides simple and free access to a large selection of notable historical maps of the Toronto area that have been scanned from collections at the Toronto Library and the Toronto archives. He started the site as a way to generate more curiosity for geography, and as a way to provide an easy entry point for people to discovery and further investigate historical cartography. Maps on the site generally have public domain status (except where otherwise noted) and can be downloaded, printed and shared. 1817 Smith Plan of York, U.C. Are you a resident of the Greater Toronto area and want to know what your community looked like 50 years ago? Well Nathan Ng has also taken his blog a step further by teaming up with Esri to create the Online Toronto Historic Maps comparison tool. This free web application provides people with the ability to compare different places in Toronto through time from 2013 back to 1818. Historical paper maps from the Toronto Library and the Toronto archives were scanned, georeferenced, mosaiked and then combined so that people could compare them with one another using a simple easy to use interface that anyone could use. Map Your Property (MYP), is an all in one innovative mapping application designed for property development and real estate industry. Ideal tool for urban planners and developers, it provides instant access to planning, environmental info and zoning maps. MYP makes use of over twenty-five opendata sets, hundreds of maps and zoning information from the City of Toronto, Region of York, and Ontario Government. Users simply enter their address into the search tool to begin and you then they are provided with different mapping layers overlayed ontop of their property, allowing you to determine its true development value. MYP is quick providing you your property details in only a few minutes thanks to powerful cloud data solutions. MYP provides by-law zoning, floodplain, land use areas, and permitted uses using Ontario, Region, City, and Conservation Authority information. MYP currently only covers the City of Toronto and the York region but they are now working on expanding to include the entire Greater Toronto Area (GTA) and Kitchener Waterloo regions. And are taking requests for other possible regions to cover. 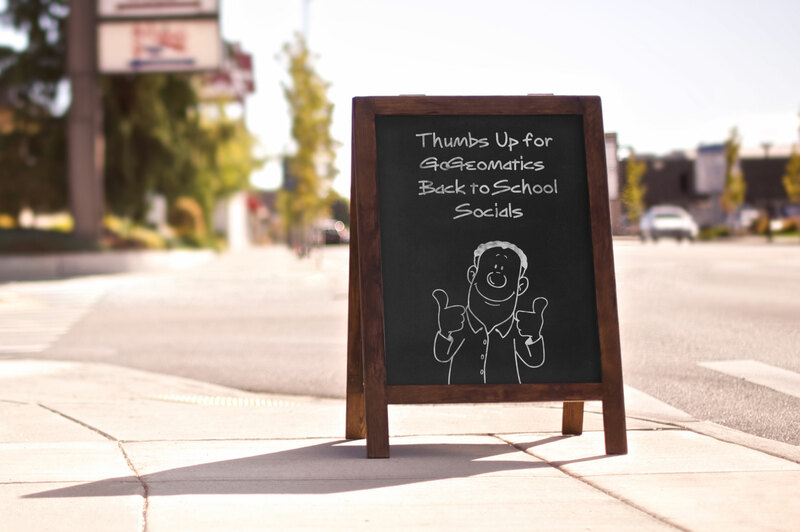 Last September we were one of several sponsors who helped make the GoGeomatics Back to School Socials (which took place in numerous cities from coast to coast including Calgary, Edmonton, Halifax, Niagara, Ottawa, Toronto, and Vancouver) a success. GoGeomatics Managing Director, Jonathan Murphy had his team of group leaders ask attendees to participate in a career survey. One of the questions on the survey was “Would they support a Canadian National Geospatial Student Union if it provided opportunities such as co-operatives, job opportunities or internship positions?” (See actual questions asked here). 83% of the 200 participants responded that, they would support a Canadian National Geospatial Student Union. Mr. Murphy told us that he added this question to his country wide survey because he feels that Canada does not have a credible organization that represents the interests of student and young professionals within the geomatics sector. 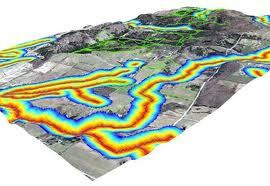 Would you support a National Geospatial Student Union? When he was a student, he noticed there was a significant gap in the geospatial community, just like there is now even though there are several groups and associations that argue that they do represent Canadian geomatics students. However when you examine membership and the boards of these organizations you notice that they include members further on in there careers with different agendas. Not only has GoGeomatics discovered that there is over whelming interest from students and young professionals to form a union that could unite students all across Canada but they have also found out that key members of industry and government, are willing to support such a group. GoGeomatics knows that they can accomplish such a task on their own,so are seeking volunteers in the geospatial community that are interested in joining a steering committee to further explore creating such a student union. They are looking for a balanced group of people, not just students. If you are interested in joining the steering committee or finding out what GoGeomatics thinks a Canadian National Geospatial Student Union would do the Canadian geomatics sector, then check out Mr.Murphy’s latest edition to the GoGeomatics Magazine for details.